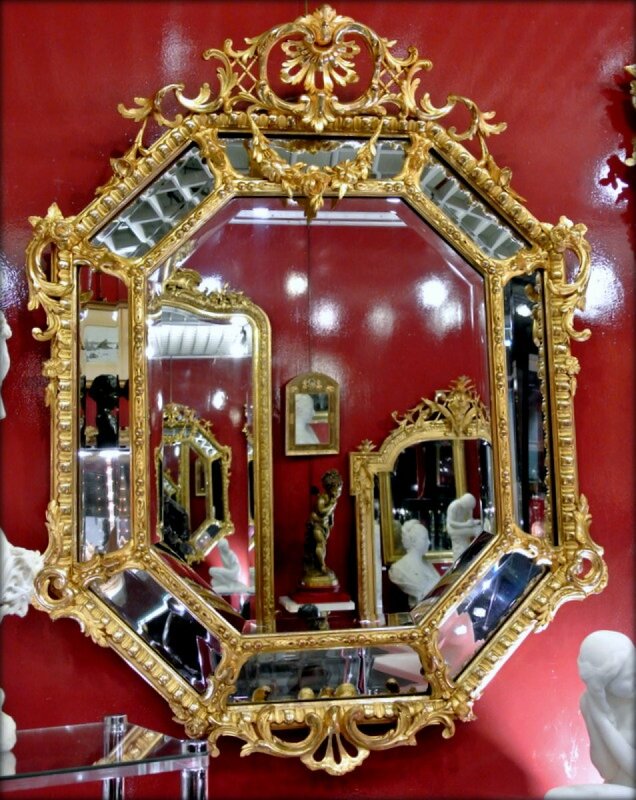 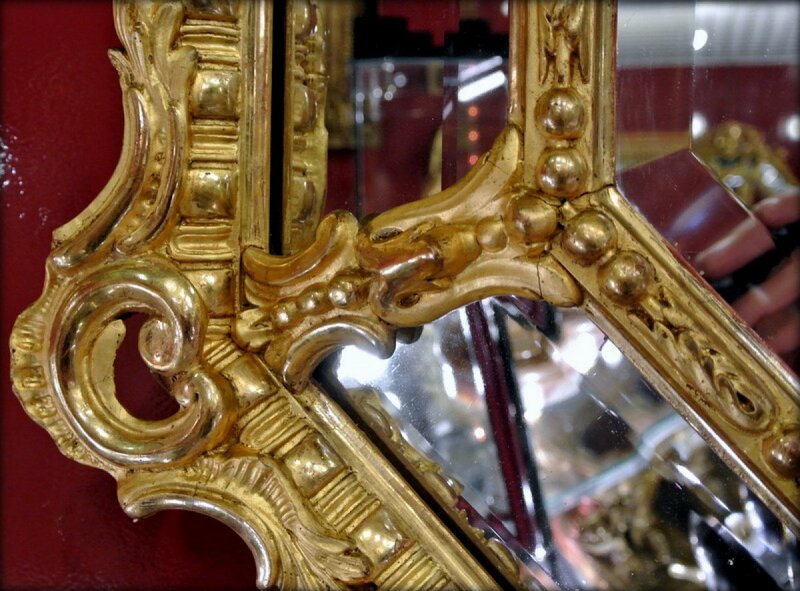 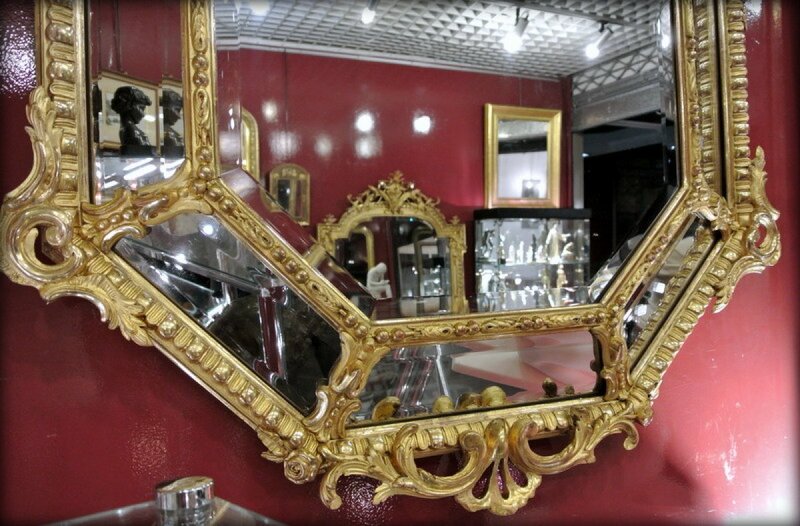 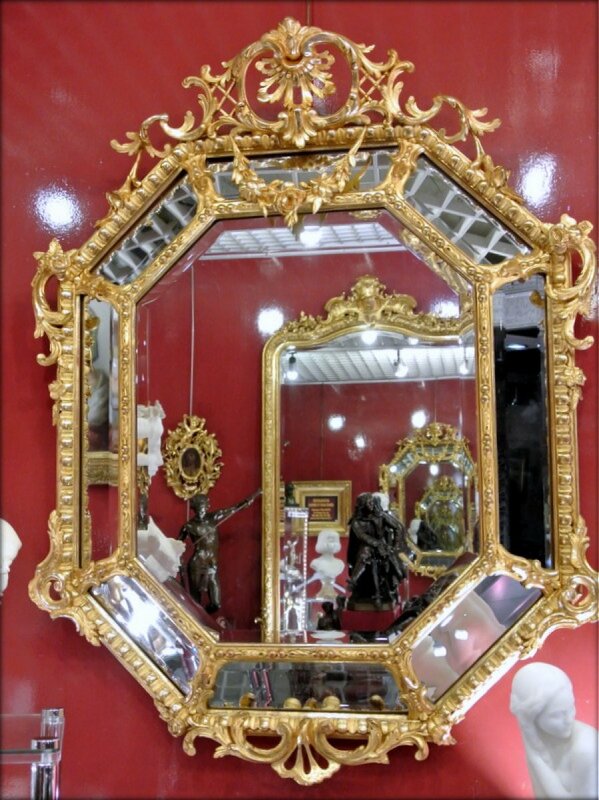 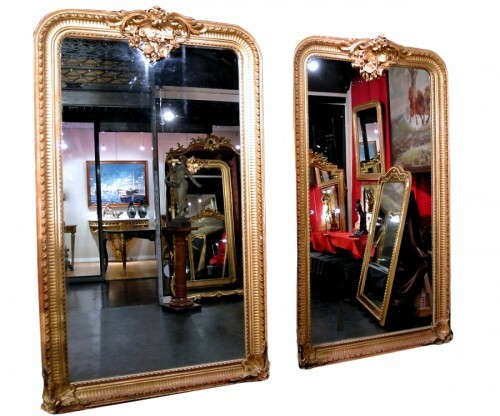 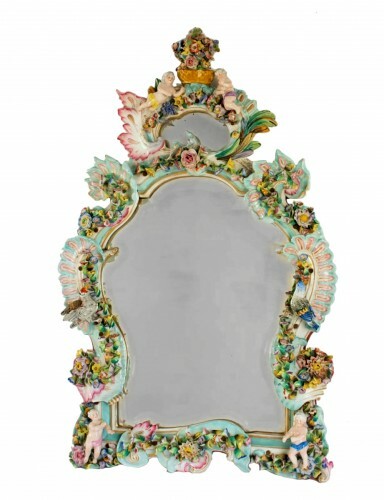 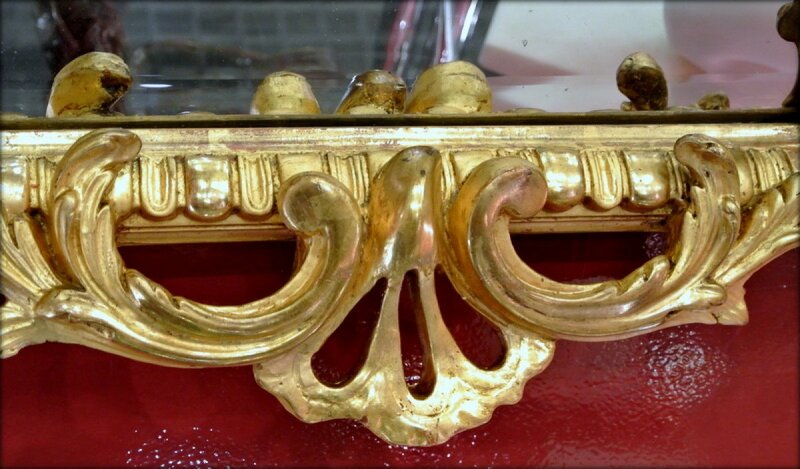 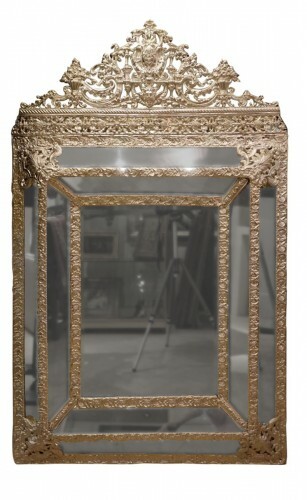 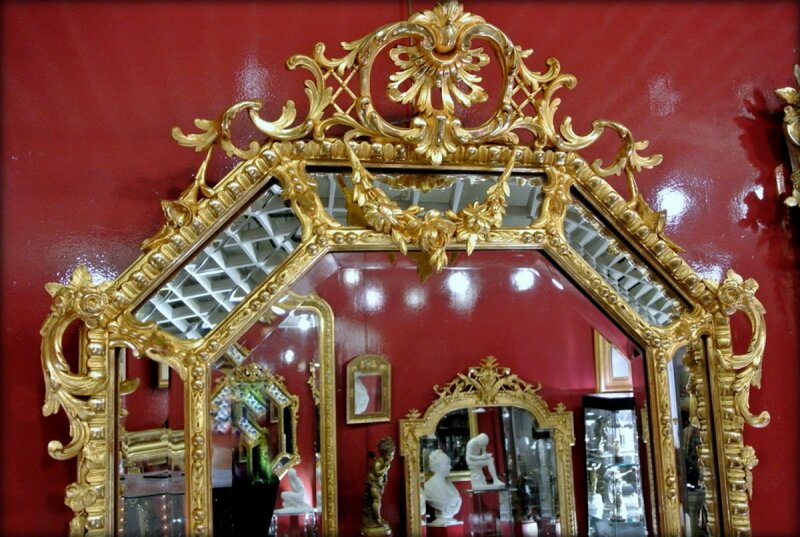 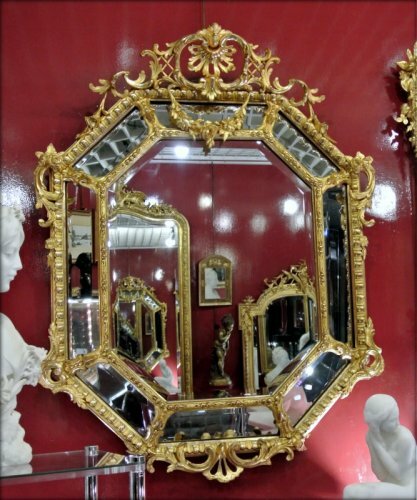 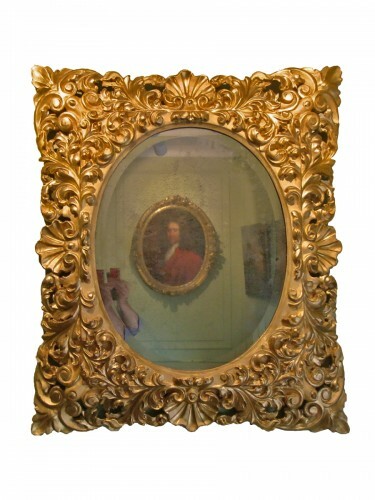 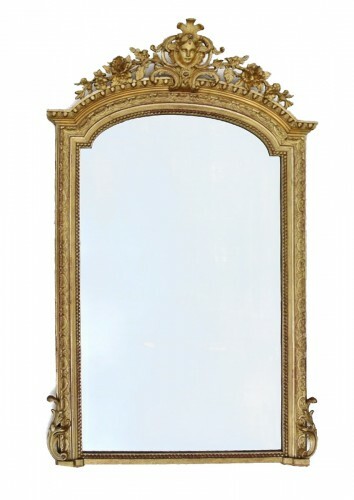 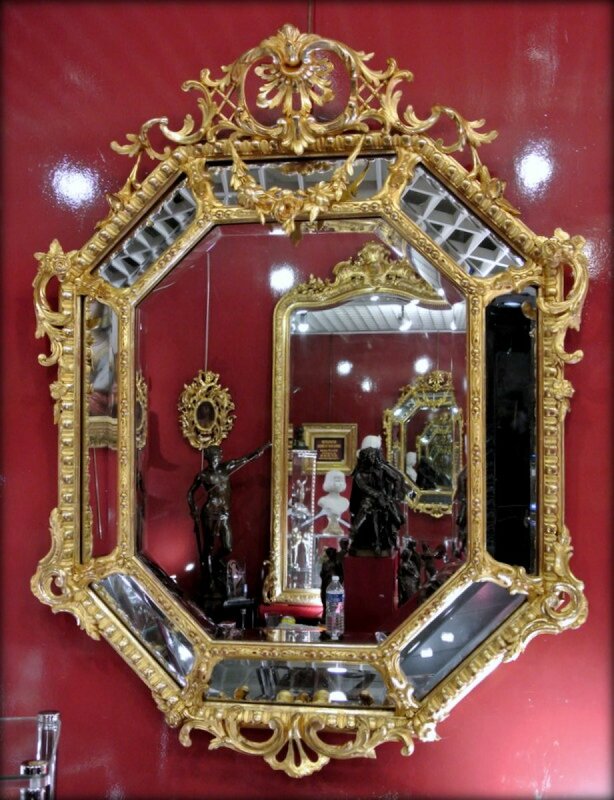 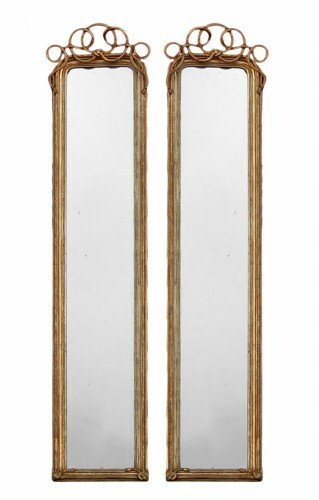 Vintage-Reserve Mirror Napoleon III, original gilding with matte and shiny gold leaf, laceed shell pediment and embellished with flushed volutes and wreaths of flowers. 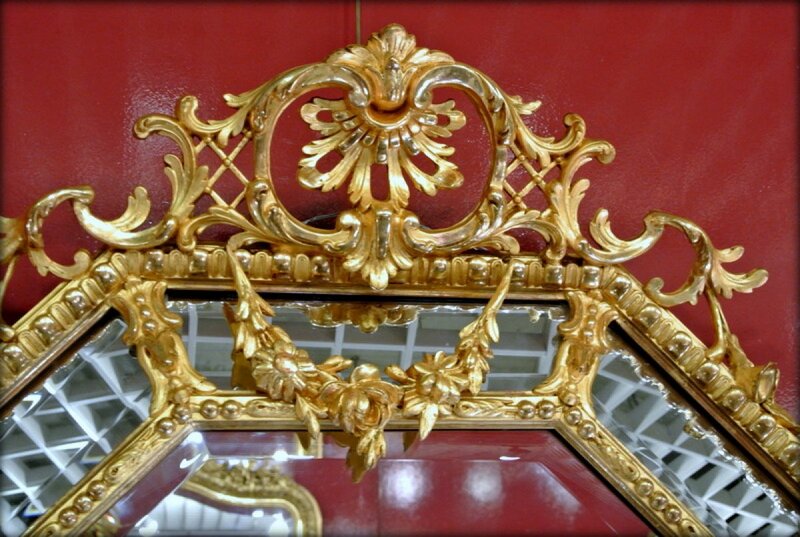 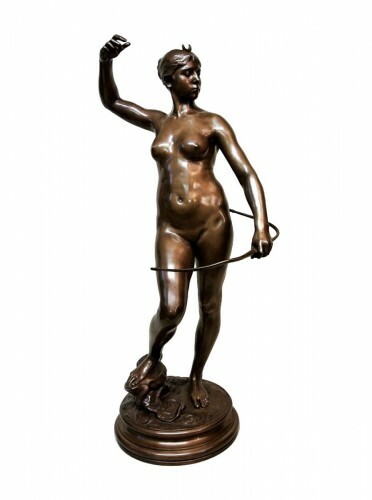 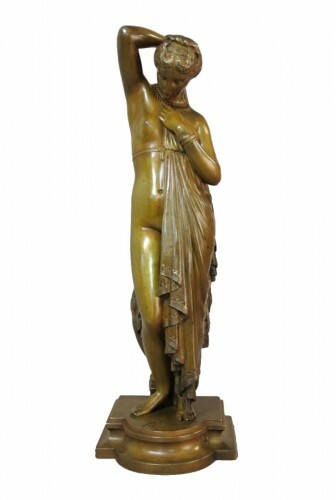 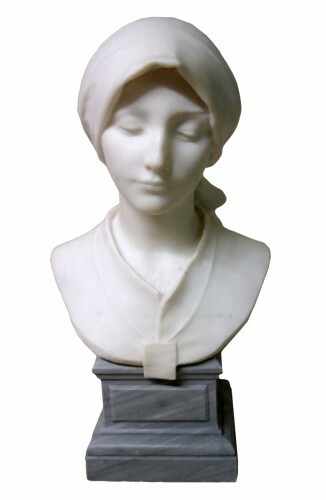 Many details of ornamentation on the perimeter of the frame. 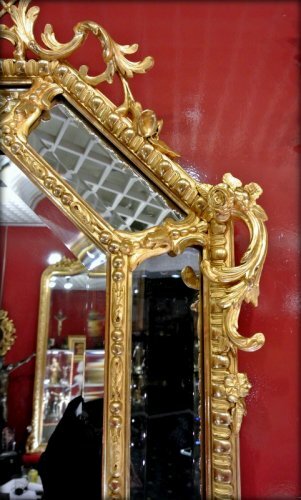 Beveled glass, mercury Tain, original background, very nice general condition, set cleaned and controlled by a gilding professional. 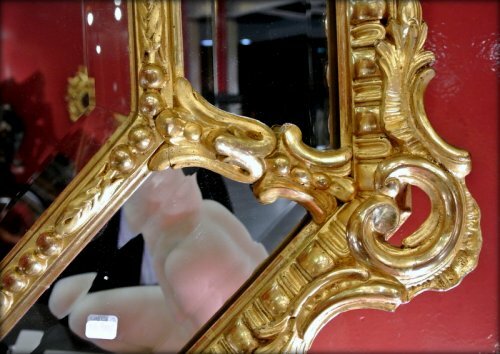 Restores of use.